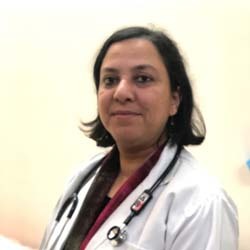 Dr. Sonu Aggarwal has over 22 years of vast experience in the field of Obs & Gyne. She has previously worked with Fortis La Femme Hospital, Rosewalk, Max Super Specialty Hospital and Batra Hospital. She has worked in UK for 7 years. Her areas of expertise include management of High Risk Pregnancy, gynaecological Surgery For Fibroid and laproscopic Surgery. She is actively involved in RCOG teachings i.e. Basic surgical skills course, MRCOG training courses throughout the year.